This weekend's boat shows are in Rio, Newport Beach, New Jersey, "old" Jersey, and many more places! Bay Bridge Boat Show in MD. Photo courtesy United States Yacht Shows, Inc. If you were looking for a fun place to travel this weekend, and wanted to include a boating event in your plans, you've got plenty of choices. Or perhaps you want to stay close to home... no problem - there's probably a boat show near you. Here at home, spring is in full swing, which means most of the current and upcoming boat shows in the States will be in-water shows. We've got the Bay Bridge Boat Show near Annapolis, Maryland. 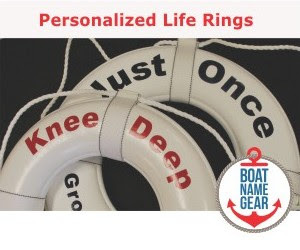 There is also the Fort Worth Boat and Sport Show in Texas, the Catawba Island Boat Show in Ohio, the Spring RV and Boat Show in Clifton Park, NY, and the Newport Boat Show in southern California. Don't confuse that last show with the annual boat show in Newport, Rhode Island, which is usually in September. Speaking of Rhode Island, the state is holding the First Annual Rhode Island Boat Show in Bristol - not far from Newport. And speaking of being confused, there are two Jersey boat shows this weekend... Strictly Jersey happens in the US in Cape May from Friday to Sunday, while Barclays Wealth Jersey Boat Show is Saturday through Monday across the pond. If you're in the area for a wedding, perhaps you can add a boat show to your plans. There are some one-day-only events being held on Sunday, the first of May, which is known as May Day in many places around the world. The biggest being in San Francisco where they're holding Opening Day on the Bay - the 94th annual celebration of the official beginning of the boating season on San Francisco Bay. This event, which includes a decorated boat parade and fun for everyone, will likely be bigger than ever in anticipation of the America's Cup coming to town. SailQuest is coming to Connecticut in just TWO weeks, May 13 - 15, 2011. This in-water boat show is located on the grounds of historic Mystic Seaport, and despite the name, the show will feature both sail and power boats. 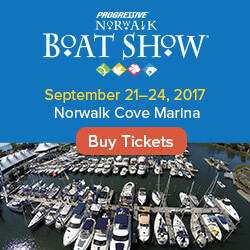 Discounted boat show tickets can be purchased in advance for a substantial savings. For the coupon code and more information about the show, visit the SailQuest page at Windcheck Magazine's site: here. Details about these and other boat shows this weekend in the US, Canada and around the world, including links to the official show websites, are on our calendar of boat shows.